Not everything that happens in Vegas needs to stay there. As a result the staff at Napkin Conference have decided to launch The Napkin Conference 2012 online as well as live. All of the 6 main sessions and 2 discussion panel sessions will be streaming live and anyone can register to attend. You can register on the website just the same as on-site registration. The cost is $49 per log-in for access to all six sessions as well as some added interactive features between sessions and during the discussion panel sessions. This is a great opportunity. For you as a leader or for your staff. For 49 bucks you get to hear from the likes of Jim “The Pioneer” Wideman, Ryan “Special K” Frank and Dave “The Legend” Wakerley. This is a steal. Get on it head over and register now! Told you a few weeks back if I win you win. And I won so you win. If you won DM me your address. Thanks! Thanks for participating all of you who did. 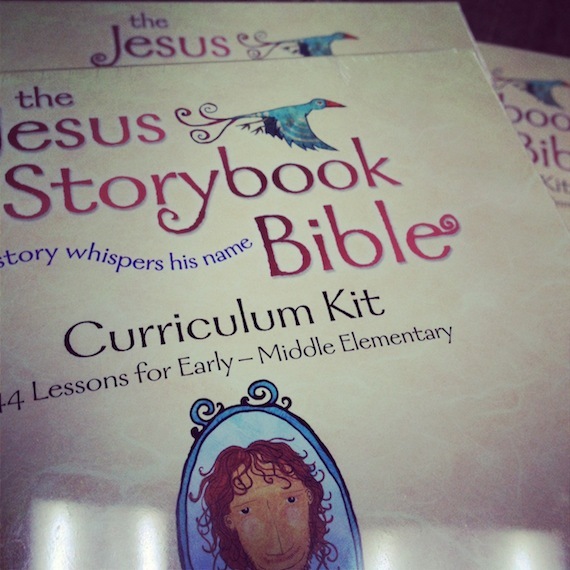 For those of you who have never heard about Jesus Storybook Curriculum. At first look through it really looks great. I have checked out quite a few of the videos. I haven’t gotten to deep into the actual lessons yet but hope to do so soon. Here is a link if you want to buy it for your church. It’s on sale right now totally worth the investment. As leaders it is so easy lead from a position of What we do and how we do it. If we want to make a difference in our lives, our kids live those who we lead at work we need to do everything from the position of why. Simon Sinek wrote a book called “Start with why.” I don’t yet own it but plan to very soon. He gave an amazing TED talk on starting with why. Such a great thought as leaders we try to get people to why rather start with why and get them to what. Wow such an impacting idea. I don’t do this enough Here is a great quote from his talk with his talk embedded below. Take 18 minutes to watch it you will thank me later. Here’s how Apple actually communicates. “Everything we do, we believe in challenging the status quo. We believe in thinking differently. The way we challenge the status quo is by making our products beautifully designed, simple to use and user friendly. We just happen to make great computers. Want to buy one?”Totally different right? You’re ready to buy a computer from me. All I did was reverse the order of the information. What it proves to us is that people don’t buy what you do; people buy why you do it. People don’t buy what you do; they buy why you do it. I’ve shared here and here about the how and why leading up to the creation of a free resource for the kidmin community by the kidmin community. We are really excited to be able to offer it for free on our blogs. 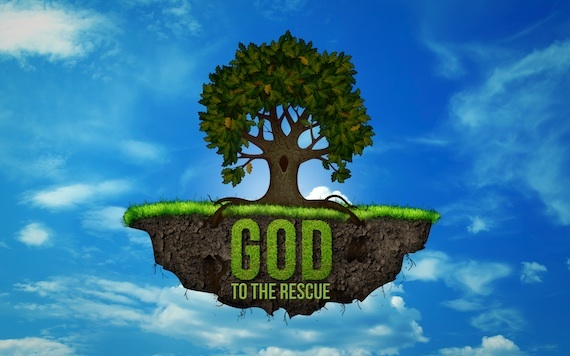 What we did was create a 5 week curriculum that unveils God’s rescue plan unveiled in the Old Testament and seen in action in the days leading up to Good friday and Easter. I love how the clear emphasis is on Christ and what he did and what we can do in response. The format of the curriculum is pretty basic. Also included are Family connection pieces. The Art and video elements will be available very soon. What I loved most about this project is that it was a team effort put together though collaboration with 4 very different churches with very similar passions. Elevate christ,communicate the gospel in a clear compelling way to kids, give the parents tools to reinforce and rehearse the gospel with their kids. I respect the heck out of each of the people involved. Love their passion and their heart. Each one of them will further break down what we did make sure you read their posts because in my opinion why we did what we did is really more important that what we did. At the end of each of our posts is a short form for you to fill out once you submit it you will receive a link for the content. Why we wrote our own Easter Curriculum? I want to start this post by saying I do not know everthing there is about curriculum production, and I in no way am thinking of one curriculum company as I write this post. My goal in this post is to hopefully create a diolog, or even to get us as children’s pastors to ask hard questions of ourselves and of the curriculum we give our teams to teach our kids each week. I personally believe that there is some problems that are systemic in the children’s ministry curriculum arena. I have been a kids pastor full time for nearly 14 years and have used every curriculum under the sun. Here are some of the problems that lead to a few of my fellow kids pastors and I writing our own curriculum for Easter. 1. Kids curriculum typically falls in two camps. Fun or Biblically accurate – rarely does a curriculum do both well. – This to me is very said because it says that the things we are using to teach our kids this precious hour we are given each week are not engaging nor are they transformational. The end result is a watered down weak, uninspiring introduction to the most engaging transformational person in human history. 2. Too safe – I sadly get the feeling that most curriculum is made way to safe so it appeals to every type of church in America. – The problem I have with this is not that people are trying to make money selling curriculum it’s that they are leaving out some really important stuff to broaden their appeal. For example there is rarely a mention of the Holy Spirit in any kids curriculum out there. I know there are some abuses in peoples Theology when it comes to the Holy Spirit but he is the third person of the God head. There are definitely some things we can teach kids about the Holy Spirit without delving into strangeness. Other topics I think need to be addressed more to our kids and they arn’t, Jesus in the Old Testament, What is the Gospel, Communion, Baptism are a just a few. My opinion is that if the things you are writing or teaching don’t offend anyone they probably are not Biblically accurate. Jesus offended others with the truth all the time. 3. Scalability – it seems that most people who write curriculum are not from a local church and even though people on staff used to be kids pastors time makes you forget. There is something about understanding what actives would work best in a class setting in a small church and a large church. Great super creative activities play out differently in a brainstorming session than they do in a room full of 2 year olds. 4. Lack of a Pastor Perspective. – I am not a professional educator. I have crazy amounts of respect for people who are and routinely ask for their wisdom I would be crazy not to. There is however something to be said for the perspective of someone whose gift is the pastoring of people. This is one of the main reasons people write their own curriculum, and quite honestly the vary people who recognize this problem are typically not the most gifted at writing curriculum. There needs to be better dialog between pastors and writers they need each others perspective to be better at what they individually do best. 5. Lack of Christ centeredness – I think most curriculum tries to be everything to everyone the end result is the gospel message is not clearly communicated. As much as curriculums out there talk about Jesus I am not sure if they communicate the message of Christ clearly enough. If kids know all about the bible but don’t understand the Gospel we have lost a huge opportunity. 6. Moralism – In our quest to teach kids concreate ideas about faith with application,we have to be very careful not to make point of the story about Jesus and not about us. 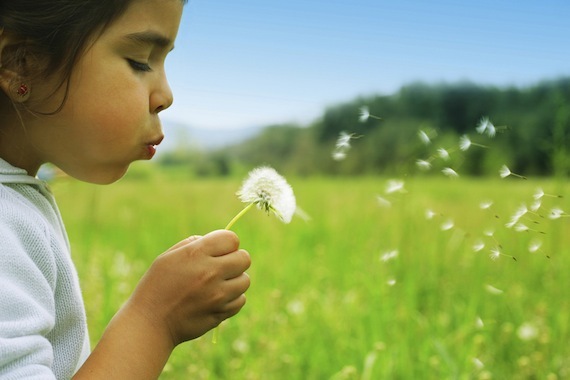 I don’t want my kids to be kind. I want my kids to understand that because of what Christ did for me I am empowered to love beyond my capacity. I want every kid who leaves uptown to understand The Gospel because in my opinion we are seeing kids leave the faith because they never understand what the gospel is. The gospel is compelling. The last thing any of us want to produce is “good kids” because good kids don’t make a difference in this world Christ centered Gospel empowered kids do. In closing I just want to say that I in no way mean to offend anyone but if you are offended my beef is not with you per se. My goal is to create a dialog for us to ask hard questions so our kids can benefit and Christ can be magnified. I am not selling anything or pushing a particular product. Lastly don’t just complain do something about it be part of a the solution not just apart of the problem. What I am suggesting is whatever you use make it better and push the people who make what you use to make it better because it’s not about you and me it’s about the kids who listen every week to the greatest story ever.